The St. Francis Xavier PTA helps provide support for continued quality Catholic education. 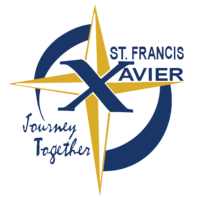 Membership includes all parents or guardians of any child who is attending St. Francis Xavier School. PTA Funded Programs. PTA will meet on the following Mondays at 2PM in the Church Basement. Changes in schedule will be emailed via our Google email group. Parent volunteers are one of the things that really helps our school work so well. Your dedication of time and hard work is so appreciated by all. Learn more about volunteering as a School Room Parent. © 2017 by St Francis Xavier Catholic School • SFX is an Equal Education and Employment Institution.